Website Design & Maintenance Las Vegas, NV | On Target Media Inc.
A phenomenal website will be the centerpiece for your internet marketing strategy and On Target Media can make that happen. Our web development team brings more than 30 years of experience in designing, creating and rebranding scores of clean, engaging, professional websites that convert website visitors into customers. 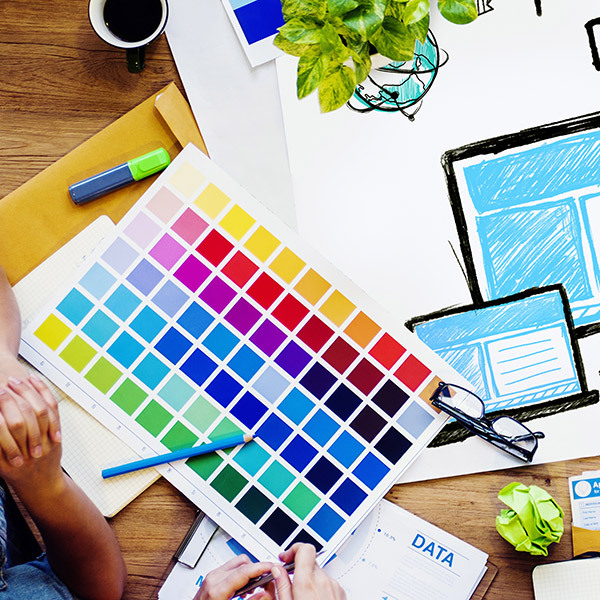 We believe that a great website starts with a great design. We know how to create a digital brand or strengthen the one you have through captivating graphics and photography. Looking for a mobile website? Every site we create utilizes responsive design to ensure that it will look spectacular on iPhones, iPads, Androids and other mobile devices as well as desktop computers. Our reliable web hosting solutions boast an uptime that exceeds 99.9% practically guaranteeing you’ll never hear the dreaded words, “Your website is down.” Your website is critical to your business and we are committed to minimizing disruption. Identifying and resolving issues before they impact your website is our top priority. We continuously monitor your site for illegitimate traffic and attacks, check for technical errors and search engine crawl problems. As soon as we identify an issue, we take immediate action. Our website architecture is optimized for maximum reliability and performance across all geographies. Thus ensuring lightning-quick page loads even when traffic spikes, every site is built to scale.